Your Driver Guide will provide expert commentary as you weave your way through the beautiful northern beach suburbs of Sydney. You’ll head out over the Sydney Harbour Bridge, one of the largest steel arch bridges in the world. Its arch-based design has led to it being known to locals as ‘the Coathanger’. Designed in 1924 to connect the northern and southern shores of this growing city, the Harbour Bridge opened in 1932 and is one of the city’s most photographed icons. Just a few kilometres from Sydney city on the lower North Shore is Milsons Point. One of Sydney’s more affluent suburbs, the streets are filled with beautiful homes, churches and schools, many built in the late 1800s. With its incredible views of the harbour and Opera House, and an abundance of leading restaurants, cafés and boutique shops, Milsons Point is a popular destination for both locals and visitors. From Milsons Point you’ll get a fantastic view of the iconic Sydney Opera House. This World Heritage listed building designed by Jørn Utzon is considered a masterpiece of modern architecture and a world class performing arts venue. Make sure you have your camera ready, as views of the Opera House don’t get any better than this! The heath-covered clifftops at North Head reveal uninterrupted Pacific Ocean views and a spectacular panorama of the harbour and Sydney skyline. Time to feel the sand between your toes! The exciting suburb of Manly is famous for its beaches that stretch from Queenscliff up to the North Steyne Beach to Manly Beach. 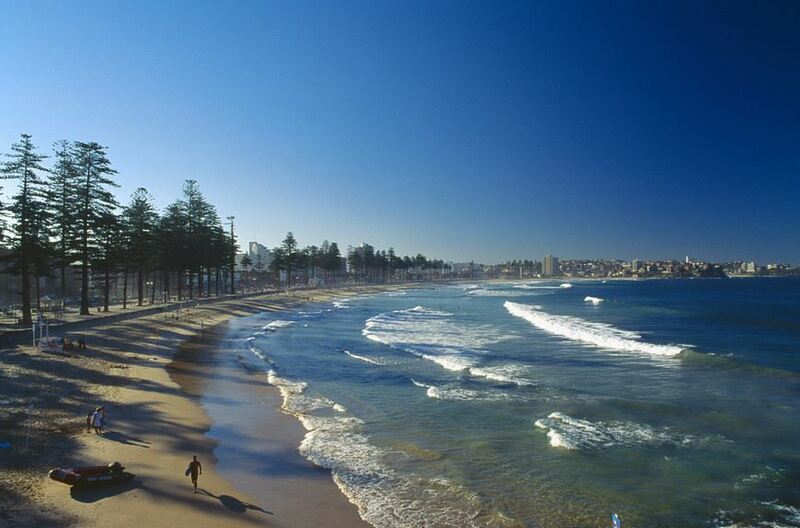 With its relaxed, outdoor lifestyle, Manly is a great place to take some time wandering on the beaches and checking out the sights. You might also like to take in some of the local sights and treat yourself to morning tea in one of the many cafés (own expense). Once your city sights tour is completed, your driver guide will direct you to Captain Cook Cruises’ office where you will join your cruise to Taronga Zoo. The afternoon is yours to spend at your leisure. Please keep in mind, Taronga Zoo closes at 5pm (Sep-April) and at 4:30pm (May-Aug).